So it hadn't gone away. It merely had lingered, waiting for something to set it off again. And that something arrived in the course of the Belgian Grand Prix weekend. Despite a few notable matters therein - among others Lewis Hamilton and Mercedes reasserting themselves; the fabulous yet bitter-sweet tale of Romain Grosjean and Lotus - there appears one talking point dominating all others. Yes, in a throwback right to 2013 Pirelli is in the doghouse once again. As you'll be aware by now Nico Rosberg had a rear tyre burst at high speed in Friday practice which only by sheer fortune didn't result in his Mercedes hitting something solid. Then of course with two laps left in the race Sebastian Vettel's beautifully-driven one-stop strategy that looked near-certain to be awarded with an unlikely third place was ended by a spectacular tyre failure of his own on the Kemmel straight. 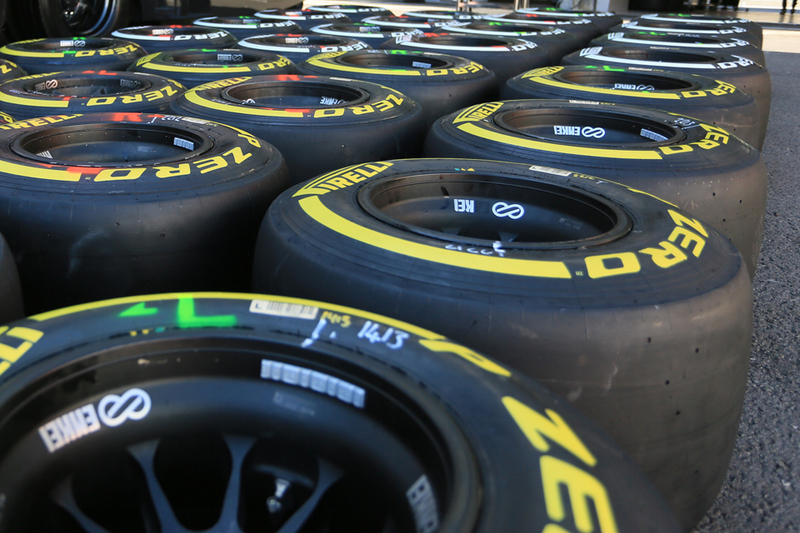 Pirelli of course has had its fair share of adventure in its time as F1's sole tyre supplier since 2011. Some misadventure. And regular readers of mine will know that I've been a fairly consistent defender of the Italian company and for a number of reasons. That it often seemed a soft target. That the sport and its competitors hadn't always done it many favours, such as in agreeing on tyre testing. That some of its criticism received has reflected sheer politicking from teams minded mainly of their level of competitiveness (see Red Bull in early 2013, despite subsequent attempts by the team to rewrite history as to its motives). Sometimes the demands made of the company have been downright unreasonable - quintessentially I recall some FIA statement or other in that 2013 campaign demanding of Pirelli "assurance that there will be no repetition of the tyre problems" that were so notorious in that year's British Grand Prix at Silverstone wherein there were several blow outs. As Peter Windsor noted that gave Pirelli the unique status, and not just unique in F1, of never being allowed to make another mistake. There also is that whatever you may think of what might be termed the 'Pirelli formula' with its deliberate degradation built in, it only reflected the Italian company taking orders from above. Even in Spa I had some sympathy, initially at least. Mainly that since Silverstone 2013 and all that (and since the problems with tyres that preceded it that season) Pirelli's record on the structural integrity of its F1 product has been close to unblemished. Certainly I can scarcely recall a tyre failure in that time - no more than you'd get from any supplier indeed - and those that there have been were explained by debris on track. Lewis Hamilton reminded us as much indeed after the Spa race: "They've been really good for the last year and a half, or whatever it is." There also were next to no failures from Pirelli in 2011 and 2012 either. Which on top of everything else also all-in counters the suggestion some make that the failures are an inevitable consequence of Pirelli deliberately engineering degradation into the rubber. Therefore Vettel's suggestion made after the Belgian race and his late Pirelli blow out that this has been a regular occurrence from the Italian product - "It is the sort of theme that keeps going around - no-one is mentioning it, but it's unacceptable" he said - was wide of the mark. I had additional sympathy for Pirelli too in that it appeared that these past and two-and-a-bit unspotted years counted for nothing. At the very least wasn't long enough penance. There was no peace in our time, merely - as far as a few drivers and teams were concerned at least - an uneasy ceasefire. I'm also not going to hammer Vettel or any of the other drivers that have since spoken out (unlike Joe Saward who for one has called Seb's words "foolish"). It's their lives that are put at risk when a tyre explodes at speed after all. And with Vettel particularly not only when he spoke had he just lost a load of points after a fine drive, came within a few seconds of having his tyre failure at Eau Rouge that would have resulted in carnage akin to a plane coming down, he also in his personal case at that very corner had a crash while in the junior formulae which caused him to sit out for weeks plus nearly lost him a finger. All of this would have been a factor in his response right after the race. But unfortunately Pirelli rather dashed most of the sympathy it got from me at least with its reaction to it all. Not for the first time in the position of a cornered animal its instinct was to strike out. And - again not for the first time - strike out apparently unjustifiably. 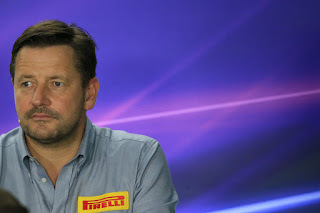 Pirelli's Paul Hembery almost as soon as the chequered flag came down stated in response to Seb's problem: "It [Vettel's tyre] was at the end of wear life. Any tyre in the world, when it gets to the end of its wear life then you're going to have a problem...If you look at the images, the carcass was still intact. It was a wear issue". In other words, according to Pirelli, in its stretched out one-stopper Ferrari had simply pushed the tyre for too long a distance. Bet that went down like a lead balloon at the Scuderia. Wear failures of course are nothing new - to give one example I can recall Ayrton Senna having a Goodyear explode on him late in the race in Mexico in 1990 having made a marginal decision to go through the race without a change. But for one thing as Lotus's Alan Permane noted you'd expect ordinarily with a wear failure for performance to drop off for a while first (this was indeed the case with Senna). "They would generally get to being undriveable before they became unsafe" he suggested. There was nothing in Vettel's lap times to indicate such a thing. 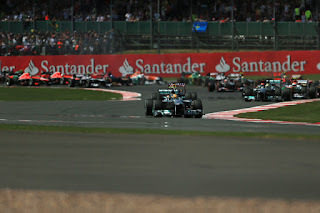 Mercedes's Toto Wolff did also describe a one-stopper as "risky" but it was not clear that he meant risky as in a blow out may ensue (he may also have been talking about a possible loss of performance). Moreover it is a matter of record, confirmed by Hembery, that Pirelli had indicated in advance of the Belgian race that 40 laps was the prime tyre's limit in terms of wear. Vettel's failure happened on that set's 27th tour of an aimed-for 29, well within this 'limit'. And indeed Ferrari boss Maurizio Arrivabene made it clear afterwards that the team's strategy was devised in the morning before the race, was based in part on Pirelli data and he suggested also that a Pirelli engineer was in the loop: "I tell you the strategy normally - even if it is aggressive, is based on clear data that you have" he said. "You are not so stupid or so crazy to take a risk for the driver if you are not reading quite well the data. Don't worry, the job was right, our job. "We have an engineer, all the teams they have an engineer from Pirelli - and what do you think that engineer is doing? I mean, he is not there to eat chewing gum. 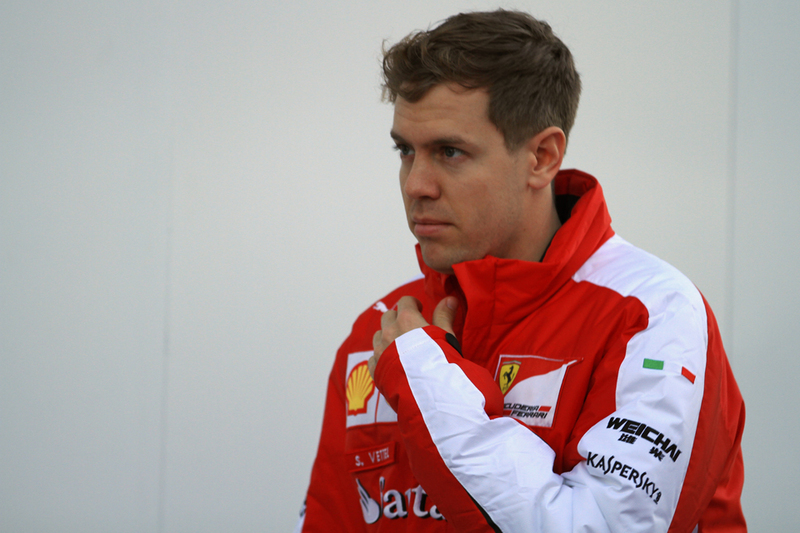 He is there to check the tyres, to follow all the runs that you are doing, and to give the data to the team." Hembery added though that such limits and advice are mere simulations not reality and can change depending on external factors. "Wear life was indicated at around 40 laps, but it's an indication, as race conditions can change, and some factors involved in racing mean it's not a precise data" he explained. On this I have no doubt. Plus there was the peculiar consideration that this weekend race stint data was hard to come by due to a large number of stoppages in Friday practice. But the trouble is it's not like the estimate was even close on this one. Seb was only at about two-thirds mark of the indicated life of the tyre, hardly sailing close to the wind by most definitions. 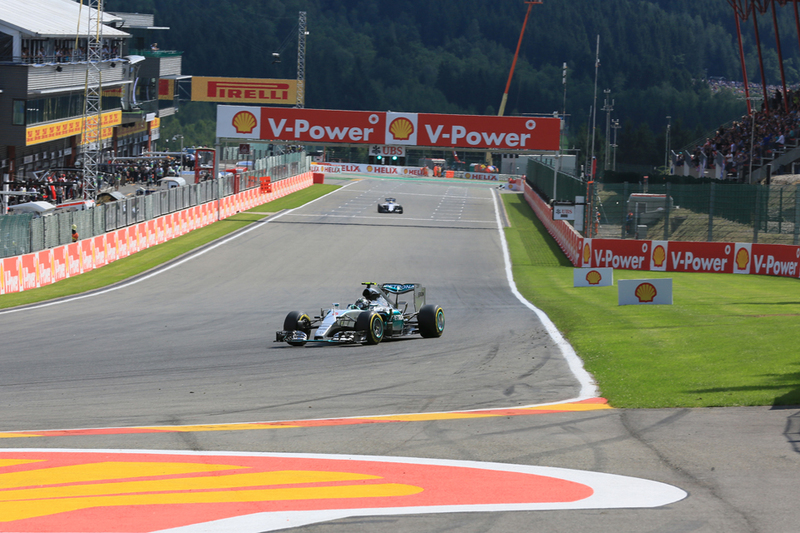 And the main difference between the race and practice in Spa was that the temperature dropped for the race, which while it's a solitary and rather crude factor would ordinarily be associated with tyres lasting longer. Indeed according to Ted Kravitz in the Sky race commentary the lower temperature was a factor in Ferrari going for the one-stopper in the first place. But even so Pirelli didn't stop at claiming the failure was down to wear. 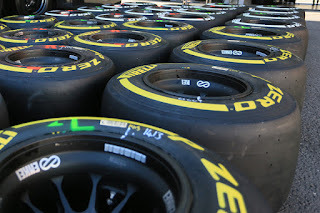 Later in the evening it released a statement stating that in late 2013 it suggested "that there should be rules to govern the maximum number of laps that can be driven on the same set of tyres, among other parameters to do with correct tyre usage. This request was not accepted. The proposal put forward a maximum distance equivalent to 50% of the Grand Prix distance for the prime tyre and 30% for the option. 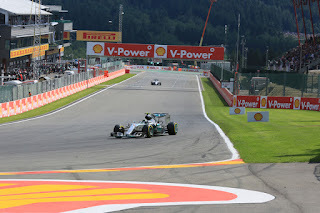 These conditions, if applied today at Spa, would have limited the maximum number of laps on the medium compound to 22." But this seems at least a mite disingenuous. For one thing it still doesn't square at all with its 40 lap advice. Also if it was that important Pirelli surely should have insisted on it rather than let it slide. But most pertinently are we to take the inference that there is a safety risk of doing more than half of a Grand Prix on a set of prime tyres? If so I'd imagine it will be news, and of the unwelcome variety, to most of the competitors! And if the 50% limit wasn't about safety then what Pirelli says is at best irrelevant; possibly is a smokescreen. Of course we don't know what the discussions were behind closed doors but if memory serves too in public the mooting of such limits back in the day was about ensuring multi-stop races for entertainment rather than about safety. It's not a new characteristic from Pirelli either - a lot of the problem in 2013 which one way or another came to a head in Silverstone was that Pirelli in the weeks and months beforehand was reluctant to concede that there was a safety issue at all with its product, which meant that the tyres could only be changed with universal approval from the teams (as ever, good luck getting that...). Then even after the infamous Silverstone failures it blamed the teams in part due to their cambers, pressures, 'tyre swapping' and the like. It's a good guide not merely in PR but in life more generally that it's much better to face up to problems than to deny them. As on top of everything else denying them will only make the problem worse as well as give others cause to lose confidence in you. And not admitting to problems will almost inevitably catch up with you in time. And the sort of thing we saw in Spa is a strong case in point. Tyre failures of course should be minimised as much as possible but equally for as long as tyres are inflatable they will burst sometimes. Indeed they will fail for as long as humans are fallible. So in other words it'll always be so. But the main thing a tyre supplier can do as well as seeking to minimise such failures is to learn from them when they do occur, as well as make it clear to others that this is what's it's doing. Given that Pirelli over time has more than once given a distinct outward impression of reluctance to accept fault, and a tendency to deflect it onto others, there should be no surprise that mistrust has built and rather festered over time. Had Pirelli instead after Belgium's race fronted up to say that tyre failures are of course unacceptable and that as a company it'll investigate the two from this weekend as a matter of urgency and learn from them - which it will of course be doing in any case - while there still no doubt would have been grumbling it would have represented the best of a bad situation. No one really after matters had cooled could have had much legitimate cause for complaint about the stance. A few might even have respected its candour. Certainly its popularity among the teams and others right now would not be in such a bad place. Pirelli, more than anything, needs a few PR lessons.